If you are an CURRENT USER. Please answer these questions honestly and accurately to ascertain if you qualify to apply for a loan. Please make sure all information provided in the application process is accurate. This will speed up the process and will make it easier and quicker for us to give you some Mulah. Is your salary paid into your bank account? 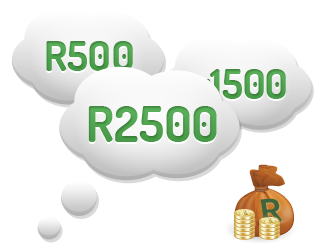 Do you give us permission to do an enquiry with a credit bureau? Please SelectWhat is your mother's maiden name?What high school did you attend?What is the street name of the house you were born in?What was the name of your first pet?What was the color of your first car? Please upload 3 months bank statements and a clear copy of your ID document, or alternatively fax the information to +27 (86) 599 6280 or email to accounts@mulah.co.za. You have completed the application process. Please double check if all your details and the loan amount is correct. If everything is correct please submit your application form by clicking "Next"
I hereby agree that all of the information that was provided in the application form is true and correct. By ticking of the tickbox "I Confirm and Accept" each declaration listed in Declarations. Congratulations! You have completed the online application form. We are busy processing all of the information supplied by you and will do a credit check with the credit bureaus to ensure that we are responsible in granting you a loan, this will only take a few minutes and we will notify you by sms and email if you are approved. 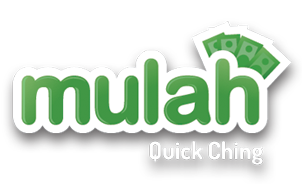 You will have Mulah in your bank account in no time!